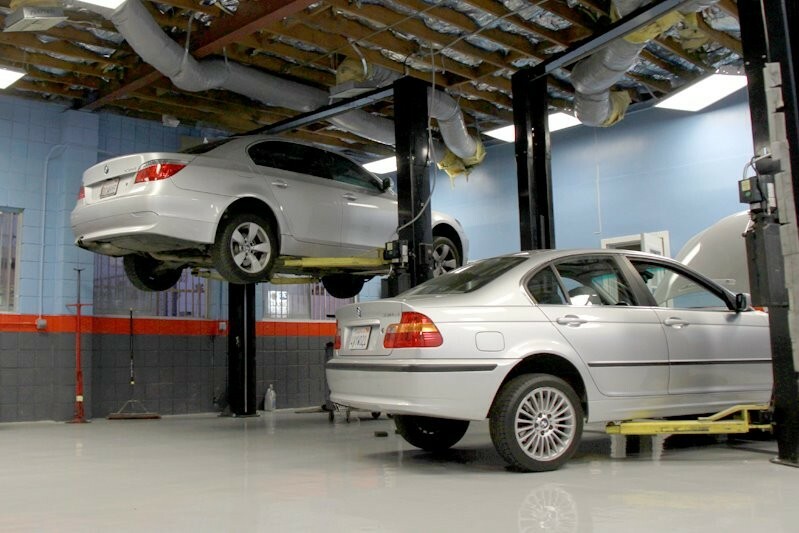 Give your BMW the expert care and service it deserves for significantly less that you would pay at a dealership. We offer BMW dealership quality service and repair performed exclusively by a factory trained, BMW Master Technician with over 10 years of dealer experience. From a simple oil services to complex electrical diagnosing -- to windshields and EVERY engine & transmission repair you can imagine. 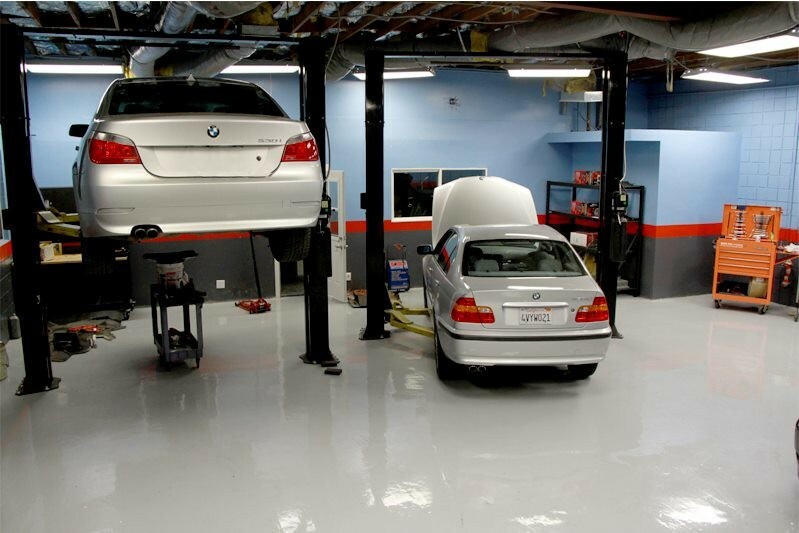 We specialize in E60 530i 545i, E65 745li 750i, and all late model coding & programming. We service the areas of Pasadena, Arcadia, Glendale and the entire Los Angeles area. Loved Bimmer PhD Motorsports in Pasadena. I'm attending a conference, in town from San Diego and my car won't start. The hotel jumps it, I drive around for 20 minutes. Stop and do some shopping and my car won't start again. Thanks to a google search and this website I find Tim. He shows up within 15 minutes, jumps my car for me ( saved me a AAA call), I follow him back to the shop and his team completes the diagnostics and installs a new battery in less than an hour. Seriously. Who could ask for more? Would definitely use him as my mechanic if I lived in the area. There is no doubt in my mind that Bimmer PhD Motorsports is the best bet for any BMW owner to visit for your challenge with your car.. 03 745i- with a couple of things that needed to be repaired. Tim identified that problem in less that 3 minutes, advised me what I should do since they were in the area of the problem--motor mounts, seals, gaskets, and o-rings that i know will leak soon, and monster to get to--and a few easy things--done! I drove 51 miles r/t. for this! All was completed in great time, road tested and at a price that cannot be touched. Staff was great, and courteous, and "TIM WILL TAKE CARE OF YOU... TRUST ME" BIMMER PHD GOT ME.. Thanks..
Tim at Bimmer PhD Motorsports is still the best at BMW repair, bar none. Still amazed me how he diagnose my car so quickly, sometimes no tools or machine needed. Excellent personality, reasonable price and incredible knowledge especially on e46. Went there this week, SES light on because vacuum leak on my x3, which he found it right away and fixed it while the BMW dealership failed to notice it. I have taken my 530i to Tim many times now. He was recommended to me by the previous owner of my car, and I can honestly say that I have been very happy with all the work he has done to my car. He will never take a short cut, or do a "mickey mouse" job. He likes doing the job right. All of his team are very knowledgeable and very helpful. Tim is a very legit guy who I trust with my car and I will def continue to take my car to him at Bimmer PhD Motorsports. I recently took my car to Bimmer PhD Motorsports. Mainly because I did not want to wait for an appointment with the dealer. My 745 LI 03 was due for it's 100,000 miles service and Tim and his team of expert technicians not only performed the required maintenance but did a through complete diagnosis of my vehicle and identified a few other issues the dealer would had missed. Overall, I saved lots of money and am totally satisfied with the service. My car is running like it was when I first brought it and I strongly recommend Bimmer PhD Motorsports for all of your car maintenance and repair needs. New customer for life. After some extensive research online for good BMW specialists within the San Gabriel Valley, I have end up calling Tim at Bimmer PhD Motorsports to scheduled an appointment. Didn't disappoint. Great crew, great knowledge on BMWs, HONEST and fair on the $. All my concerns was taken care of and fixed instantly. Awesome experience..I will be a returning customer and will definitely recommend any BMW owners to go for any repairs or maintenance. HE KNOWS! Wouldn't trust my e46 M3 with anyone else. I found Tim and Bimmer PhD Motorsports after the dealer tried to charge me around $6k for some repairs. Not trying to bash the dealer here, I'm sure they would have done a good job, but they are just overpriced in my opinion. Tim was able to fix my 328 for almost half the cost of the dealer! I moved out of the area a few months back but still come to town to visit a relative so when I know I have an issue arising with my car or I need an oil change, I always schedule in time to bring my car to Tim! Bimmer PhD Motorsportscares about it's customers and they do a great job with the repairs -- all at a fair price. If you read this and go to him for service, you will save yourself headaches and money... So don't be stingy, give your mechanic a tip for hard, honest work! Its time we reward the good guys. Tim and his aces high team are tops in customer service! Everything was clear and fair. No need to worry. The crew will complete a quality job for less than half price of the dealer. I had a few small electrical repairs all completed in less than an hour. How to the dealers still survive with Tim and his crew on the loose is a mystery to me. 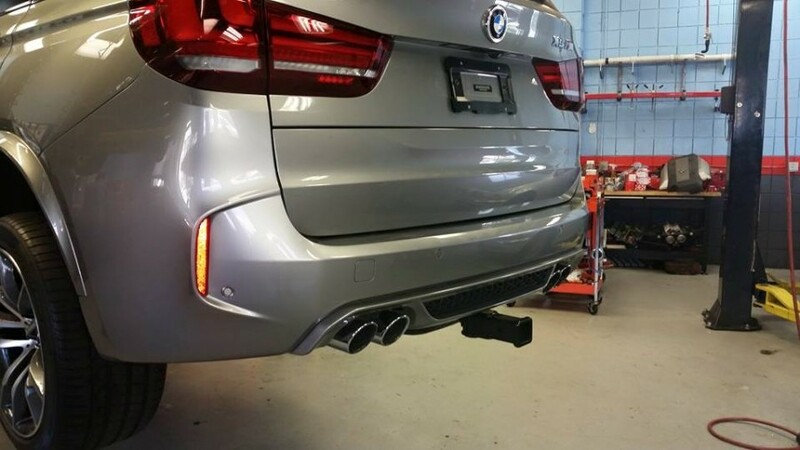 The techs are quick and accurate and happy to walk around the car with you explaining how they care for your BMW. My 330ci just came out of warranty so no more dealer foolishness for me. Bimmer PhD Motorsports will handle it from here. Nice work Tim! I highly recommend Bimmer PhD Motorsports to anyone who has a BMW and wants to get quality service at a great price. Tim and his staff are very knowledgeable and easy to work with. The first time I spoke to Tim over the phone, I explained the issues I was having and he was able to explain technically (but simply) what the possible solutions could be...without talking down to me or making me feel stupid for not understanding my own car! The other good thing is that while talking to these guys, you can tell that they want to solve your car problems and help save you $$$ at the same time. These days, it's hard to find car shops that you can trust, but I definitely trust PHD Motorsports. I will keep going to them to help keep my BMW running smooth. Thanks Tim and crew! You've saved me a lot of money and my car is running great! I was so frustrated with the work done by the dealer on my BMW. I finally made the decision to switch. It was one of the best decisions I have made. Went on the web and found Bimmer PhD Motorsports. Tim is awesome and fixed problems that the dealer had lied about for years. Additionally being single it is always hard for me to get a ride to work and back. I was appreciate of all the things Tim did to accommodate me. Additionally he is so patient and explains everything so clearly. You know he, and everyone else that works there, has a high sense of integrity. EXCELLENT! I am sure I am not alone when I say that we've all been burnt by a mechanic or two in our day. Whether it's a service advisor at a stealer or a local indy shop guy, it's hard to find good people whom you can depend on and who won't try to empty our pocket books. So, in order for you to protect your investment and avoid being f'ed with your money, you end up scowering the web for series of DYI's in hope that you can do some of the work your self. For those who are mechanically inclined, this is an alternative, but for many others, this will add more frustration to the problem already at hand. Even a mechanically inclined person, I am extremely happy that I have Tim @ Bimmer PhD Motorsports as a resource. I first found Tim before the days of PhD and was setting off to set up his own shop. Tim will tell you that I "baby" my car like no other. So when I took my "baby" into see him about a few minor problems, he took care of it the right way from day-1! Being a car guy, I can readily detect and call B*ll Sh*t when I hear it and there was absolutely none of that with him. He explained all the options and how to go about fixing problems the best way possible. I freakin' HATE service advisors at dealerships and all their BS!!! I despise their scare/pressure tactics to get the customers to sign for services they really don't need and have to pay for. Another thing that impressed me was how knowledgeable Tim was about BMWs (all through the years and various model ranges). He blew me away. I usually do a bit of homework before I talk to mechanics to ask intelligent questions and to guard against the "SUCKER" impression. So, yesterday I take my car to see Tim because it was making a rather loud "thud" from the front suspension on certain bumps as the chassis flexed. Just for kicks, I took it in to the dealer too before going to see Tim to see what their prognosis would be. As I drove around with the SA, he was trying to scare me to thinking the noise came from all these different reasons. ALL VERY costly repairs of course! :) He said it would take them 2-3 hours just to look everything over under the front axle. That's $280-$420 just to find the problem folks. Anyway, I laughed and said no thanks. So, back to Tim @ PhD. I text him the evening before and he's already given me a prognosis. I get to his shop the next morning and he takes my car for for a quick spin. Comes back and says "It's your sway bar bracket." He opens the hood undos a few panels that re-torques all the bolts that are securing the strut brace and finds the loose bolt!!! WOW!!! In 30 minutes he solves the problem and re-scans my car for fault codes and gets me outta there in an hour.And, he only charged me a fraction, I MEAN a fraction of, what it would have cost at the stealership. The amazing thing is that was the exact prognosis he gave me the night before without even looking at the car. What more can I say? I currently own 2 late model Bimmers. My baby is out of warranty but my other car isn't. Can you guess where I will be bringing my other car when it goes out of warranty? You might get pastry and free coffee at the local BMW center but you won't get the honest, friendly, and personal care you get here. Not even close! Wait, Tim actually did offer me some fresh brewed coffee yesterday. So, only thing you got going for you is some cheap pastry at the dealership. LOL. Bimmer PhD Motorsports did an excellent job of replacing my Halo lights on 2006 330i. The cost was reasonable and it was done in very short period of time. I would definitely recommend PHD to anyone who’s looking for BMW technicians. Thanks! Tim and crew! Nothing but outstanding customer service from Bimmer PhD Motorsports! Tim and his crew are straight forward and to the point. At PHD, you will have no worries or regrets. They make your needs their number one priority. I brought my E36 to PHD to fix an oil leak. Tim and his skilled crew were able to fix the leak in an hour! They are very well experienced and knowledgeable of ALL BMWs. Much gratitude to Tim and his crew. If you're searching for an independent BMW shop, go to PHD Motorsports. Just ask for Tim and he'll take care of you and your car. Thanks again for the great work, Tim! My car drives so much better, I'm falling in love with it all over again. 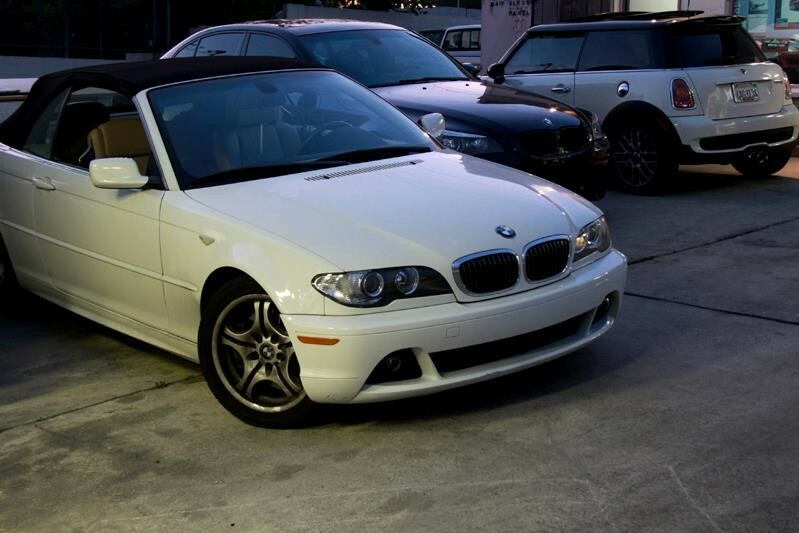 We had a very bad experience with a BMW dealership but were fortunate to find Bimmer PhD Motorsports online. Tim and everyone that works there (including his fiancee) were very accommodating. Tim took the time to answer all our questions and we were able to leave our car in good hands. We are happy knowing that we now have a place that provides excellent service and at a good price. I would highly recommend Bimmer PhD Motorsports to everyone! I went to 4 other BMW shops only to come to Tim's shop and get the CORRECT diagnostic of what was wrong with my 2003 BMW 745Li. The whole staff was super friendly and was a pleasant experience as a whole. BMW PHD is my new & ONLY BMW shop that I now go too for all of my concerns and maintenance issues regarding my Bimmer. I drove 20 miles just to get the quality & professional service needed! I would also highly recommend Bimmer PhD Motorsports in Pasadena. Tim, Raffi and CJ are competent technicians and are very friendly and approachable. The shop is no-frills shop, just cars, tools, and knowledgeable techs. I would not hesitate to take my BMW to them again. I had my window regulator replaced by Tim at Bimmer PhD Motorsports on my E36 M3; it was absolutely a good experience. I hung around at the shop and chatted with the office manager Joanna with Tim and Raffi. They are very friendly and knowledgeable regarding BMWs. I got to see how Tim treats all his customers with a great attitude and a lot of patience. I service all my BMW cars with Bimmer PhD Motorsports having total confidence and trust, I have to say that I could not be more pleased with the work these guys do, the knowledge and the work performance and timing of they work is not to be matched. The PHD team is unbeatable, true experts. I highly recommend the PHD team for anyone who wants to know all about the car and get the car to drive 500K miles and beyond. I got my first BMW in April, 2009 -- a 2003 M5 w/37,000 miles that had been well maintained. Engine service light went on in December plus I had oil leak. Was not impressed with customer reviews from San Gabriel Valley BMW dealers, and found Tim at Bimmer PhD Motorsports on the internet. After talking with him on the phone and meeting him in person, I knew I had selected the right person for the job, and I was right. Tim is passionate about BMW's and has outstanding master mechanic credentials from local BMW dealers. Needless to say, he diagnosed my Vanos system problem (a defective solenoid) and the source of oil leak and fixed them. I've been back twice since for a one small repair and a battery replacement. I wouldn't trust my M5 repairs with anyone else. I highly recommend Tim for any BMW repairs you might have. I would definitely recommend Bimmer PhD Motorsports to all. I received detailed explanation of why my check engine light came on & the price was less than half of what the dealer had quoted. Well knowledgeable & friendly staff, even washed & cleaned my 530 before I arrived...really a dealer alternative. Thanks Tim. Great job!